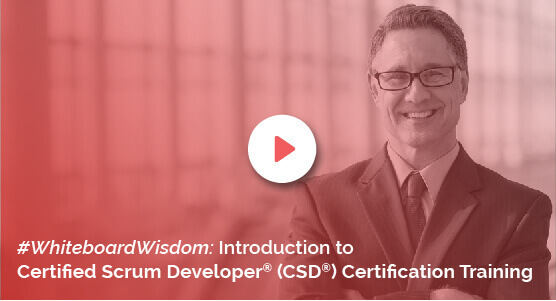 With innovation forming the core of a majority of industries in the city of Los Angeles, you can surely benefit with a valuable credential such as the Certified Scrum Developer (CSD) that testifies your specialization. The Knowledgehut Academy is globally recognized by the Scrum Alliance as a REP (Registered Education Provider). You can earn a CSD certification in Los Angeles through immersive, instructor-led iterations in 5 days or fewer. Delivered by certified trainers from the Scrum Alliance, the CSD training in Los Angeles is delivered in two parts. The first two days focus on the basics of Agile methodologies, related processes and more. This part of the training can be skipped by those who already hold a Certified Scrum Master certificate. The next three days of the CSD certification in Los Angeles focus on the technical aspects to include an introduction to CSD, other concepts and practice sessions. Participants will earn Professional Development Units (PDUs) and Scrum Educational Units (SEUs) which will help them qualify as a CSM and thereafter as a CSD. The short Certified Scrum Developer certification in Los Angeles is a convenient way for busy professionals to update their knowledge. Employers can opt for this training to rapidly increase their billable talent pool. The CSD course in Los Angeles includes the fee for the certifying exam. Among many other benefits, participants get access to an e-learning course and those who earn the developer certification get a 2-year Scrum Alliance membership.